Questions regarding the 2019 Gala? This year we are honoring three incredible individuals or organizations who have made a huge impact on the Brooklyn LGBTQ+ community. Abdul Muid is the founder and principal of Ivey North. 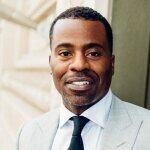 A highly accomplished New York City real estate agent and native of New York City, Abdul has extensive, first-hand knowledge of the many neighborhoods comprising Brooklyn and Manhattan. He loves starting his day with a workout and ending it trying one of the city’s many new restaurants. Abdul’s foundation in a tight-knit Brooklyn family imbued him with the characteristics that have ensured his success: uncompromising integrity, a strong work ethic and a commitment to strive for excellence in every facet of his business and life. Coupled with his energy and enthusiasm, these attributes have earned him deep loyalty from his clients and strong repeat and referral business. They are also the guiding principles upon which he is building Ivey North. When he’s not helping clients or the community, Abdul spends as much time as possible with his 13-year-old son, Noah, and 4-year-old daughter, Ava. He also loves to travel, particularly to his favorite cities outside of New York – Barcelona, Paris and Los Angeles. Ryann has worked and lived in Brooklyn since 2006, and has been creating pathways of creativity, expression, beloved community, and love as wealth. Ryann has worked in every industry from retail to philanthropy, but found most happiness when creating cool things with talented friends. Ryann found joy and magic in being a part of queer, black culture in Brooklyn. So, in 2009, Ryann founded the bklyn boihood collective. As of today the collective has grown into a community staple. Currently BBH has five core members, over 50,000 online followers, six calendars, parties, monthly gatherings, a cycling series, and a published anthology called Outside the XY. Ryann has also organized music festivals, live shows, conferences, film events, and more for communities of color in Brooklyn. For example, Ryann created and organized the Soul of BK Festival, a week long music and arts festival in Bed Stuy, Brooklyn. Ryann also worked on Harry Belafonte’s Many Rivers To Cross Festival in Atlanta, and managed the coordination of the Black Lesbian Conference in Harlem. In 2016, Ryann was voted one of Brooklyn Magazine’s top 100 cultural innovators. Ryann is the co-founder of Lucid Haus, an indie music label based in Brooklyn, featuring artists like Nappy Nina, Theo Mode, & Ria Boss. 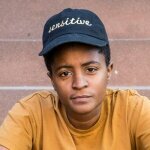 Ryann was also the music supervisor for 195 Lewis, a boundary breaking web series that explores the lives of queer women of color in Brooklyn, New York. Ryann is also the General Manager for Flowergirls Flowershop: For Womxn Who Smoke, a cannabis company founded and run by queer women of color. Ten years ago this year, dapperQ, one of the world’s most widely read queer style digital magazines, went live on the web. 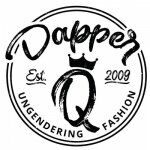 Dubbed GQ for the “unconventionally masculine,” dapperQ was among the first digital spaces to champion “menswear” for those traditionally under-served by mainstream menswear media and designers, and has since expanded to celebrate the full spectrum of queer style with its sibling project Hi Femme!. dapperQ produces wide-ranging original content and events for which it has received media coverage in The New York Times,HBO, Vanity Fair, NBC News, Vice, Nylon,Refinery29, The Daily Beast, Teen Vogue, The Huffington Post, and The Washington Post, to name a few. dapperQ’s fashion shows, which are some of the largest queer fashion shows in the United States, and panels have been showcased on world renowned platforms, including at Brooklyn Museum, the Institute for Contemporary Art/Boston, California Academy of Sciences, The Museum of Fine Arts/Boston, South by Southwest, the Brooklyn Historical Society, the Museum of the City of New York, Oberlin College, and The International Center of Photography. For the past two years, dapperQ partnered with Target to produce a young adult (18-21 years of age) fashion show as part of NYC Pride’s official Youth Pride event. The shows featured 10 diverse LGBTQ+ youth who were each provided $100 Target gift cards to style a look that affirmed their identities and empowered them as the future leaders of our communities.